With the demand of moving into more collaborative environments, organizations are seeking out smarter spaces, secure mobility, and a network to handle it all. By unifying both your wired and wireless worlds, updating your network simplifies your organization's IT workload, while supplying everyone with uninterrupted network connection. VLCM's platinum partnership with Aruba and Hewlett Packard Enterprise means that you have access to networking solutions that 82%* of Global 100 Companies depend on. From wired to wireless unification to software-defined networking and virtual management, VLCM, Hewlett Packard Enterprise and Aruba Networks has the ability to transform your IT environment into a collaborative one. 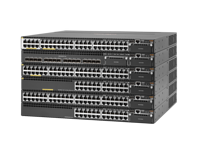 SwitchesAdd agile, scalable switching to your network. From campus and branch, to small business and data center. RoutersYour network doesn't need to be complex. 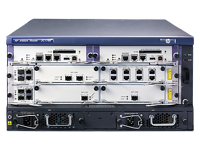 Simplify your network and add flexibility to devices. Controllers and Access PointsUse open standards, software-defined networking, automation and more to outperform your competition. Superb WIFI Performance through Gold Partner, Aruba Networks. For Wired and Wireless LAN Access Infrastructure. Aruba ClearPass policy manager helps you set smart policies while keeping mobility and IoT in mind. ClearPass solves today’s digital workplace security challenges across any multivendor wired or wireless network by replacing outdated legacy AAA with context-aware policies. HPE SDN solution provides the simplicity, agility and automation to keep the business moving forward. "I can not say enough about the technicians that VLCM has on staff. They are the exact people I would want working on my network any time. We were able to clean up our network, make it more manageable, and do so with only a short outage. I would highly recommend VLCM services to any customer large or small. They have consistently helped complete projects on time and below budget."